My boyfriend was trying to invent something new for me to make. As he was describing his "creation," it sounded so much like an eclair. He thought an eclair was a fried doughnut, so he never said "I want you to make an eclair." He kept describing a custard filled pastry with a chocolate glaze on top. For glaze, combine butter, milk, corn syrup, and vanilla in medium saucepan and heat over medium heat until butter is melted. Decrease the heat to low, add the chocolate, and whisk until melted. Turn off heat, add the powdered sugar, and whisk until smooth. 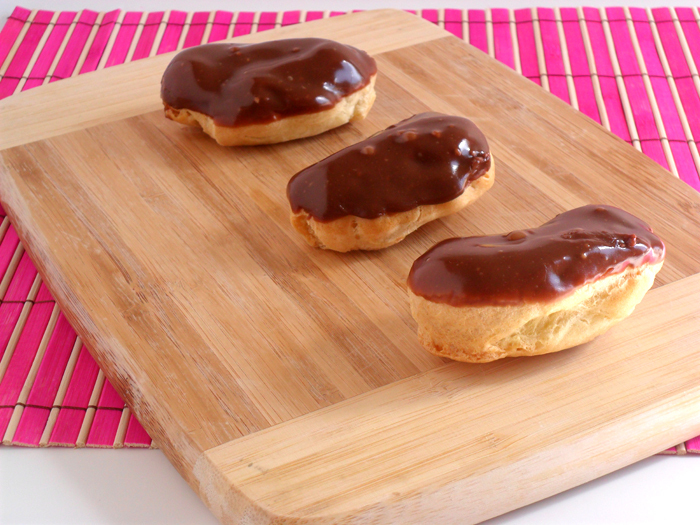 Place the mixture over a bowl of warm water and dip the eclairs immediately. Allow glaze to set for 30 minutes before serving. I have yet to try my hand at eclairs. I'm not sure why though, they are so simple and definitely a favorite of mine! How delicious looking! Your boyfriend had a great idea :) I'd love to make some of these for my family for breakfast. Yum! Hi Desi, thank you for following me! I'll go check out your blog immediately! 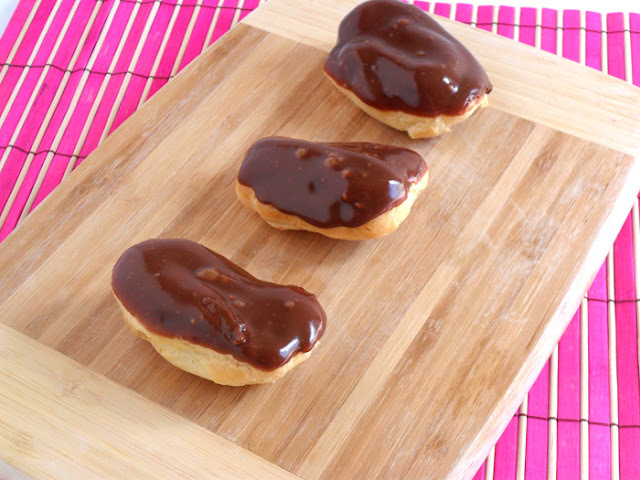 The eclairs were easy to make. Give it a try, I think you will love them!